Dora synergia has the characteristics of strong water absorption characteristics and excellent biodegradability. China’s agriculture is facing unprecedented challenges.After deep analysis,many experts,scholars,and entrepreneurs have unanimously turned their attention to one product-Bacterial fertilizer. Microbial fertilizer refers to a type of biological agent that contains living microorganisms and can obtain a specific fertilizer effect in use to increase plant yield or improve quality. Harpin Protein is a new,safe and efficient plant immune inducer.Multi-functional product integrating plant growth regulators,biological pesticides and bio-fertilizers. Microorganisms in soil play an extremely important and irreplaceable role in the material transformation of agricultural ecosystems. 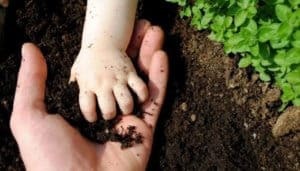 Microbial fertilizers are more expensive than organic fertilizers because of the addition of biologically active bacteria! Therefore, the role of strains is the most important for microbial fertilizers. At present, the main microbial strains on the market are mainly Bacillus subtilis, so understanding the role of Bacillus subtilis is very important.